Is your family as excited about the new Beauty and the Beast movie coming out as ours is? I'm not gonna lie... Myself and Pip (21) might be more enthusiastic about it than the younger two are. 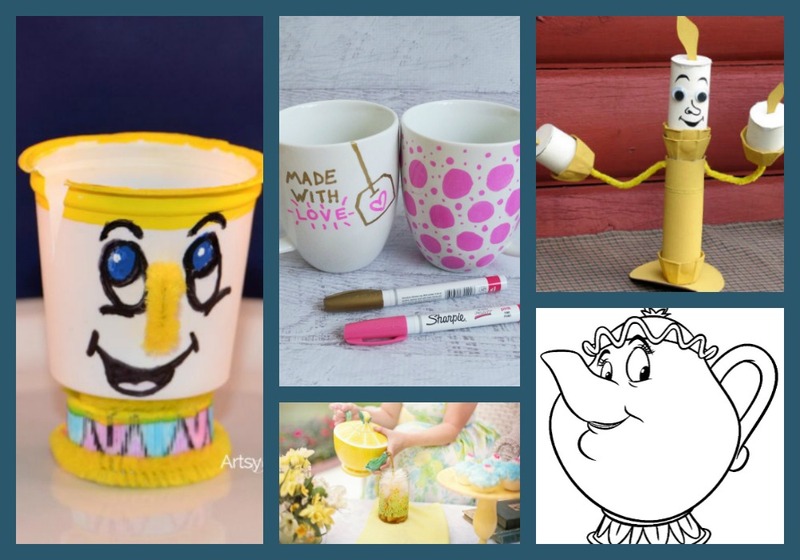 But, in preparation for the movie and for Sunny's first cinematic experience, I thought we'd do some Beauty and the Beast preschool activities. 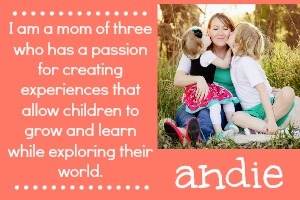 In planning, I was able to find some amazing examples of the ideas I had in my mind. 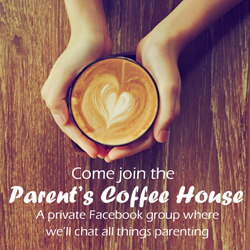 Here are some of the things we plan to do, plus a few more for older kids. Make a felt/fabric princess bag inspired by Belle. Decorate princess "mirrors" made out of cardboard with paint and plastic gems. Create felt princess crowns. You can even glue on gems if you like! 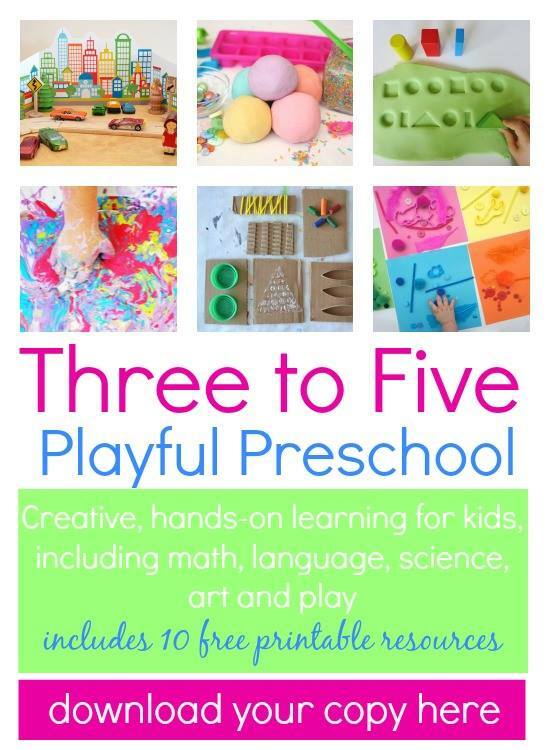 Make Princess playdough using this sweet smelling recipe and glitter. Visit your local library and pick out some books sure to please Belle. Break out the paint and make some Beauty and the Beast footprint art. Perform an act of kindness (unlike the Beast did) with your children. 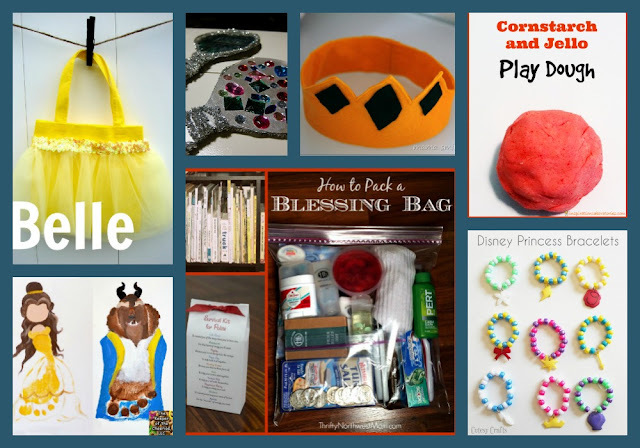 Make a Belle-inspired bracelet with pony beads. Decorate a journal (composition notebook) that Belle would write in. Use celery to stamp some enchanted roses. Maybe you could even add some red glitter to the paint. Visit a local botanical garden and see the varieties of plants and roses present. Explore the science of color and roses with this classic science experiment. Cook up some tasty fun with these yummy apple tarts. 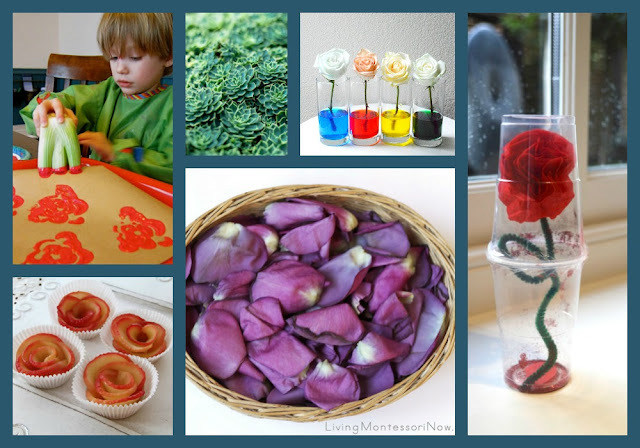 Use real or synthetic rose petals to create a rose sensory bottle or sensory bin. Create your own enchanted rose jar with this craft tutorial. 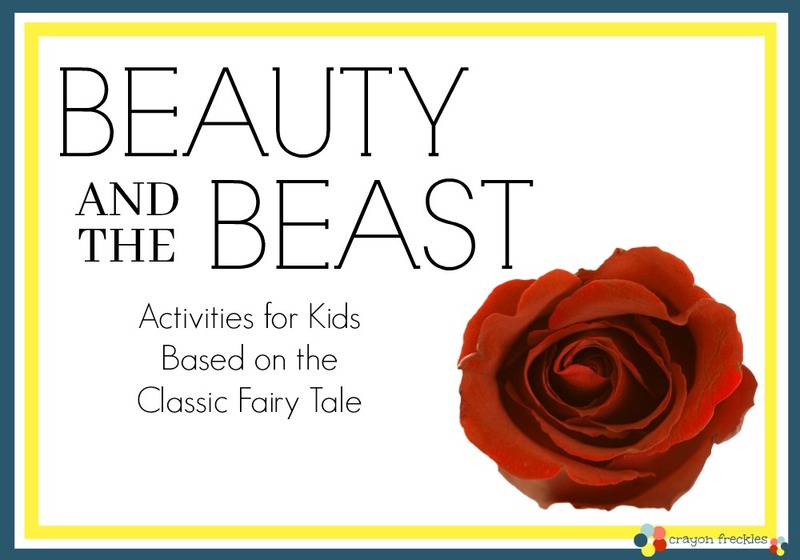 Make a stained glass window like the one in the Beast's castle with tissue paper. Make a castle for the Beast out of sugar cubes. Use Duplo Blocks to create a castle fit for a Beast. Stamp out a castle blueprint with building blocks. 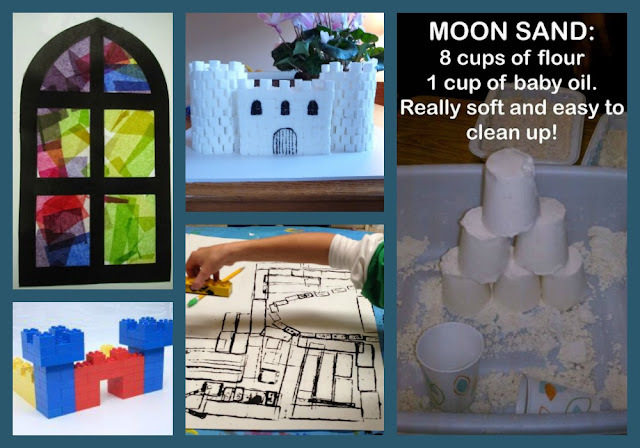 Build a castle out of homemade moon sand. Learn how to welcome others to "Be Our Guest" by practicing proper table setting. 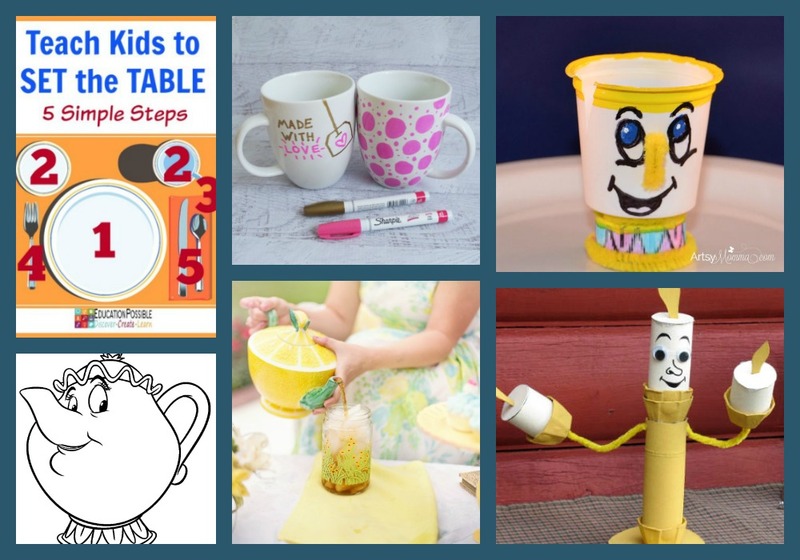 Let children decorate their own tea cups using this tutorial. 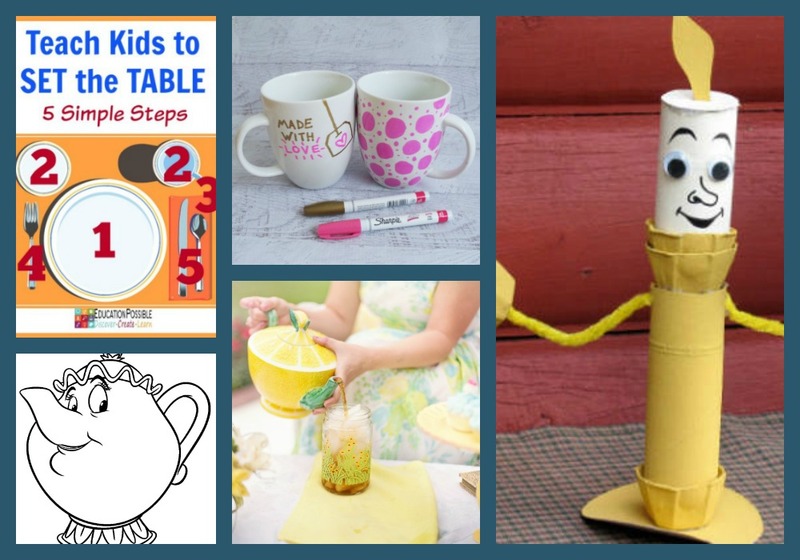 Use your empty K-Cups to make this darling Chip craft. Set aside some time to have a tea party. Recycle empty paper rolls into this Lumiere candelabra craft. Play musical chairs to the tune of "Be Our Guest". I'd love to hear about any activities you've done to celebrate this new movie or your thoughts after you see it.